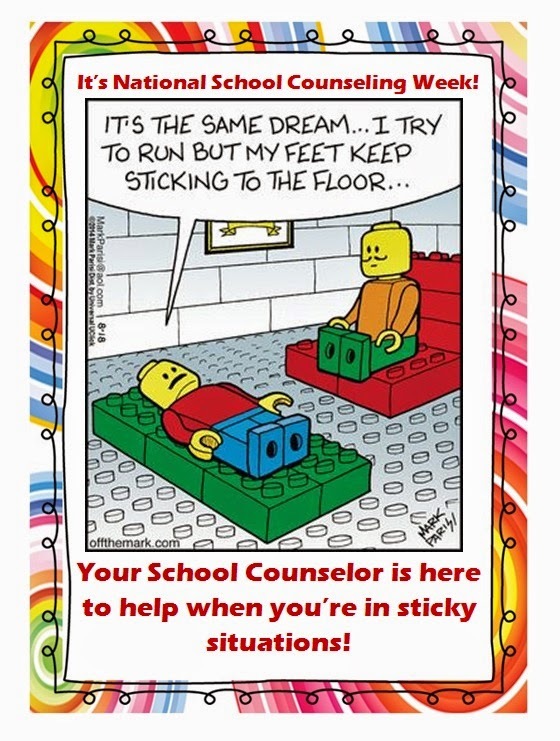 We had our first snow day of the year yesterday, so I didn't start to celebrate National School Counseling Week until today. Above you will find my Tuesday message that I put in teachers' mailboxes. I also had an intern (Sarah) start last week, and she helped to design this great bulletin board. In case you can't tell, we're going with a Lego theme. . .
On Friday, we will have students write an act of kindness on a Lego and then I will hang them up around this board in the cafeteria. Because I wasn't here yesterday, I also completed Monday's challenge today as well. Make sure to visit tomorrow for my Wednesday message and a contest I have planned for the students. 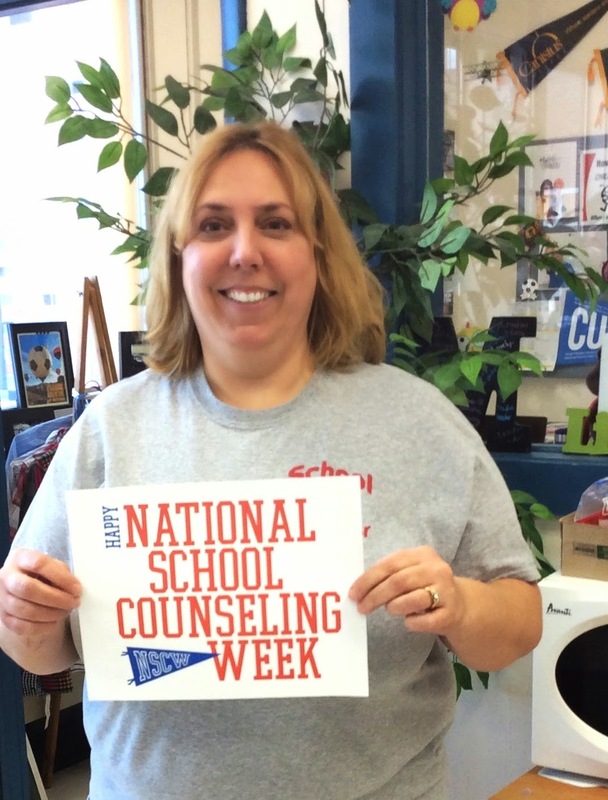 What are you doing for NCSW15?